Refreshing your makeup look for the new year? Many beauty stores had better deals for Black Friday or the run up to holiday party season but there are still some great deals on makeup, skincare and more today. Sephora doesn’t have a sale, but like Black Friday, has special gift sets for Boxing Day. Get generous sized try me kits from Becca, First Aid, Benefit, Tarte, Stila, Urban Decay and more for less than $20. The Body Shop has up to 50% off select items and almost all gift sets. Many deals are in-store only and may vary by location. Trade Secrets has up to 50% off in-store and online. Plus, pick up some of the sets you missed on sale during Black Friday. Well.ca has their doorbuster sale as usual. Some deals worth picking up include a four pack of Beauty Blenders for $33.58, Butter London gift sets, and Tangle Teezers. Do some research before shopping, items like the Covergirl products are cheaper at drug stores. If you have never shopped with well.ca before, save $10 when you spend $40 with coupon code 10BOXING. Yves Rocher is offering $10 off a purchase of $40 or more with coupon code 10YR40. You must be an email subscriber to take advantage of this offer so signup first. You will also get a free datebook and notepad with your order. Many items are already reduced to 50%% off too so you can try some products on your wishlist for less. 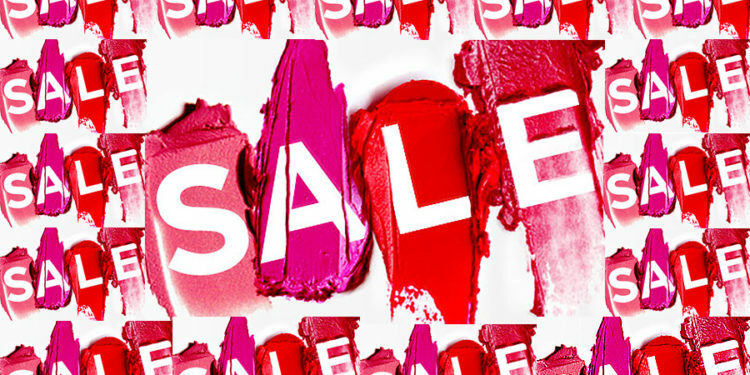 Nail Polish Canada has 50% off select Zoya, Essie, OPI, China Glaze and Color Club along with other Boxing Day deals. Every order gets a gift set with a nail file, orange sticks, cuticle pusher and toe separators too. Shipping is free when you spend $19. Shoppers Drug Mart is offering 18,500 when you spend $75 for Boxing Day with many special deals in the flyer. See the flyer here. Rexall Pharmaplus is fairly underwhelming with up to 50% off select merchandise. Check your Air Miles app to see what offer is available for today.